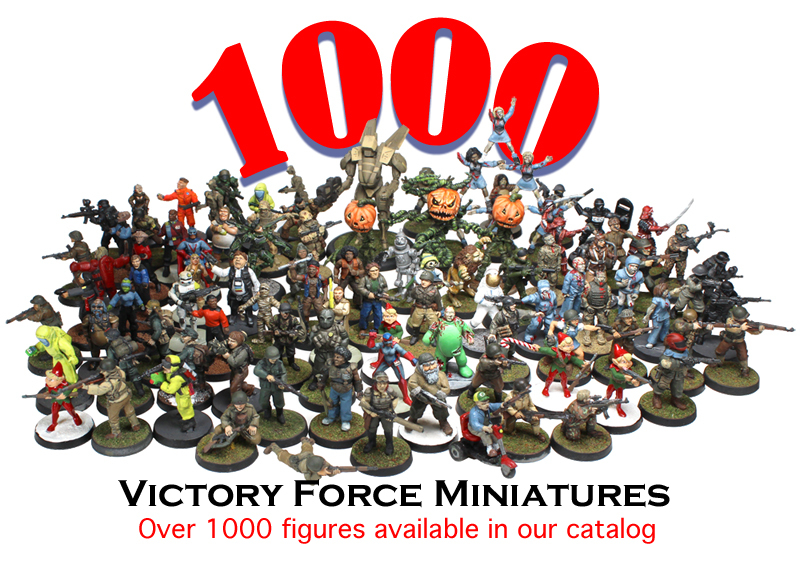 Order over $100 worth of Victory Force figures online with a special coupon code and you will receive a coupon code worth 40% off your future orders. Heres how it works: Enter the code 100 in the coupon code box at checkout on your purchase totaling over $100. Later you will receive your own unique coupon code good for 40% off your future orders. Your 40% off code for future purchases will only be valid until August 1st 2015 and can only be used by you. Code cannot be transferred. Codes used by anyone besides the recipient will cause immediate loss of the code and another will not be issued. You may use your code as many times as you wish until the code expires. 40% Codes will be issued within 3 business days of initial order. Must have a valid email to receive your code. The 100 code is only valid thru June 6th 2015 (US Central Time) and may not be used on past orders. Code can end without notice. Total amount for the order, minus shipping charges, must be over $100. Some items in the Victory Store are not valid with the code such as Specials and other select items.